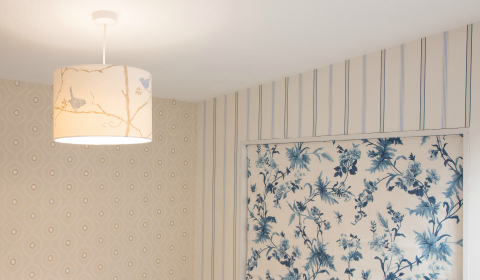 As a leading designer and supplier of luxurious handmade and bespoke lamp shades, our team of experts are able to create the perfect addition to any interior colour scheme. 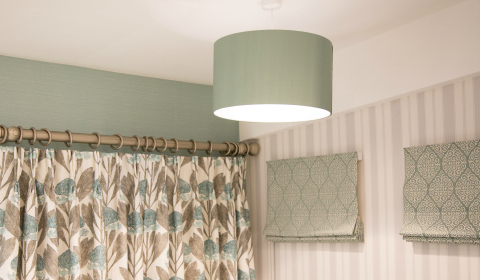 Our modern and contemporary lamp shades can be made to any size or colour and from any fabric you choose. 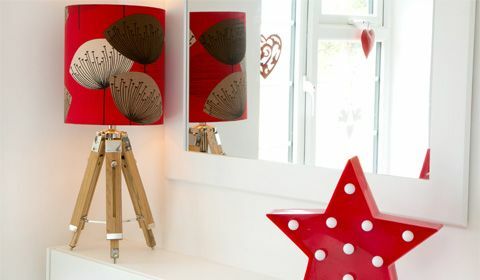 From simple drum lamp shades to large and extra-large modern statement lampshades. All of our lamp shades; including large and oversized shades are manufactured in-house which ensures the quality of the craftsmanship is second to none. 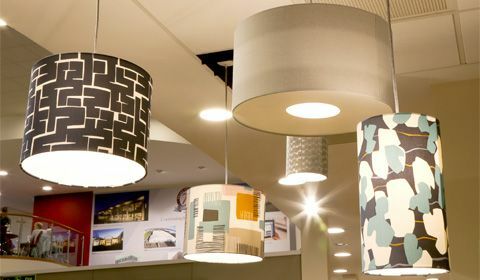 We have wide selection of commercial contract fabrics available including Delius, Panaz, Iliv and Drapilux. 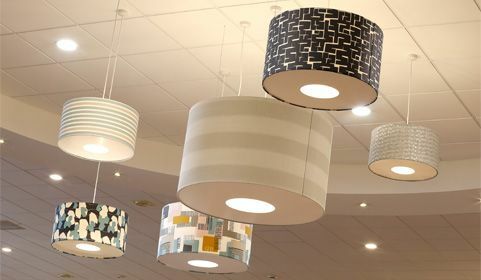 We also offer and excellent choice of lampshade shapes and sizes to meet your needs. All of our products are finished to an extremely high standard with 100% adherence to agreed delivery timelines. 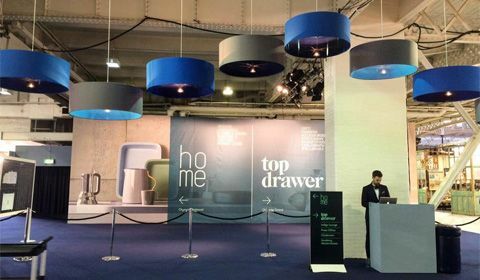 Why not create an impressive feature shade, or strengthen your brand image by using our digital print facility to emblazon your brand onto the inside or outside of the drum shade which opens up endless options for creating unique shades for your business. If you are a trade customer we can offer you a trade discount for every order you place online.